I am not usually a fan of the All-You-Can-Eat type of places but I was pleasantly surprised by Aji Contemporary Japanese in Hopkins. They have a sushi bar that gives you a chance to try many different rolls at what I think is a reasonable price. This isn’t a place that I would frequent all of the time. 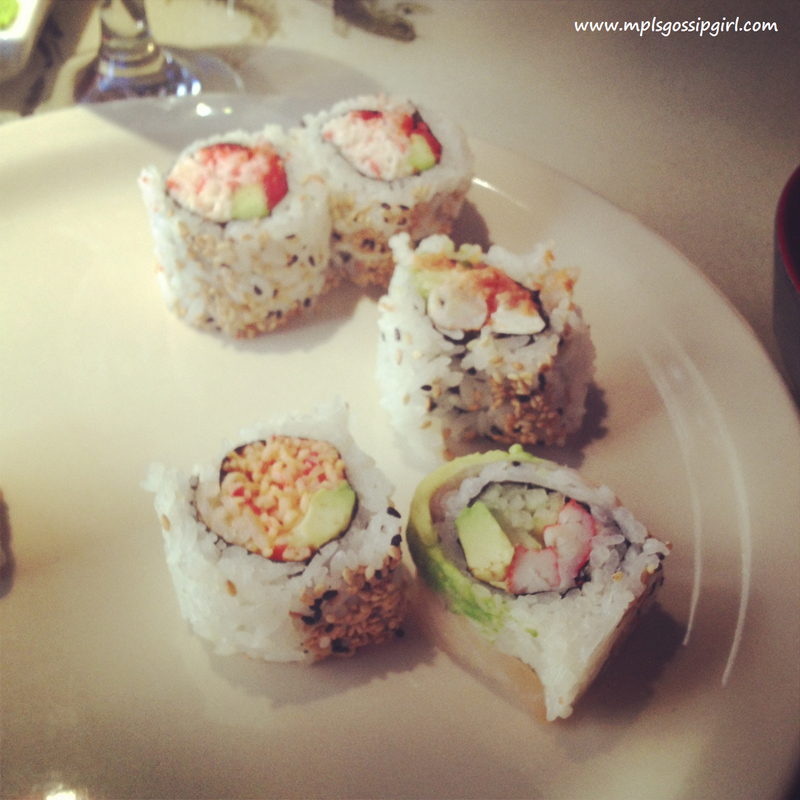 But, when I am in a sushi rut it is a good way to try something new. The chefs who work the sushi bar are friendly and will take requests, if you ask nicely. They can also explain the rolls that have already been made. If you really like a certain roll, you will know what to order next time. If you do not like a specific roll or ingredient you know to avoid it in the future. I would suggest Aji for the more adventurous sushi eater. Someone who is willing to go past the California and the Philly roll and go for something with crispy skin or eel. Eating sushi off a bar freaks me out a little bit. But, the ingredients they were using were fresh. I saw them cutting a fresh fish while I was there. The rolls go quickly as well, I was not worried about them sitting out for too long. The Aji website is not clear as to how much the sushi bar is and when they have it open. It is not open all of the time. I know that the lunch is a bit cheaper than dinner and that Sunday is special. I would call ahead of time and ask some questions to make sure you are not disappointed.